Belgian Ambassador Luc Liebaut and his wife Karine arrived in Japan right after the 2011 Tohoku earthquake and tsunami. 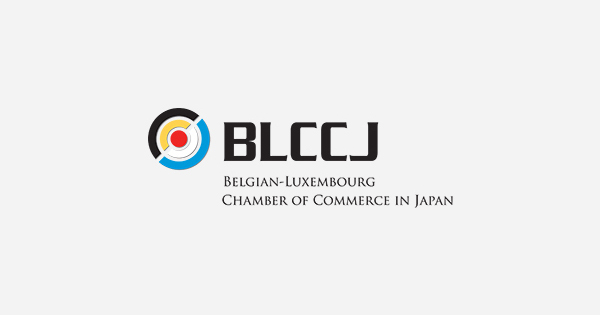 For 4 years they devoted themselves with much enthusiasm to promoting business and cultural ties between Belgium and Japan. This summer Mr. Ambassador will terminate his post in Japan. At the same time the First Secretary of the Belgian Embassy, Mr. Matthieu Branders, and his wife will also be leaving us after having spent 4 years in Japan. At this occasion the BLCCJ Board organized a farewell dinner at restaurant le Petit Bedon in Daikanyama. We started the evening by inviting both gentlemen to “sabre a bottle of champagne”. After a heartwarming speech by Chamber President Fabrice Tilot we enjoyed a lovely dinner amongst friends. As a farewell gift we chose an ukiyo-e for Mr. Branders and a Toyota scale model car for Mr. Ambassador. It was a great pleasure and honour to work with them!